I am not surprised that he needed to rest because just last month our volunteer (Matt deVilliers from the National Trust) snapped 8 Horns on his patch on the Roseland peninsula! An incredible achievement negotiating his way around the treacherous waters of Land End. This is a small part of 8 Horns amazing travels! 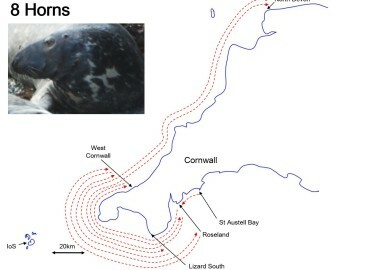 In the three years we have known 8 Horns, he has been identified at five different locations from St Austell Bay to North Devon and he seems to routinely commute between West Cornwall and the Roseland. It has taken a considerable dedicated effort by ten different volunteers to put 8 Horn’s history of 17 different photo identifications together. 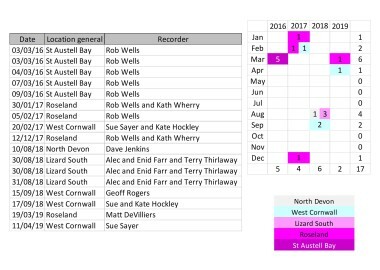 Sites such as Lizard South are surveyed daily all year round, whilst volunteers on the Roseland take hundreds of photos at least once a week and my site in West Cornwall has been surveyed twice weekly for nearly 20 years. Stories about individual seal movements like this are key to informing conservation efforts for a highly mobile migratory marine mammal. 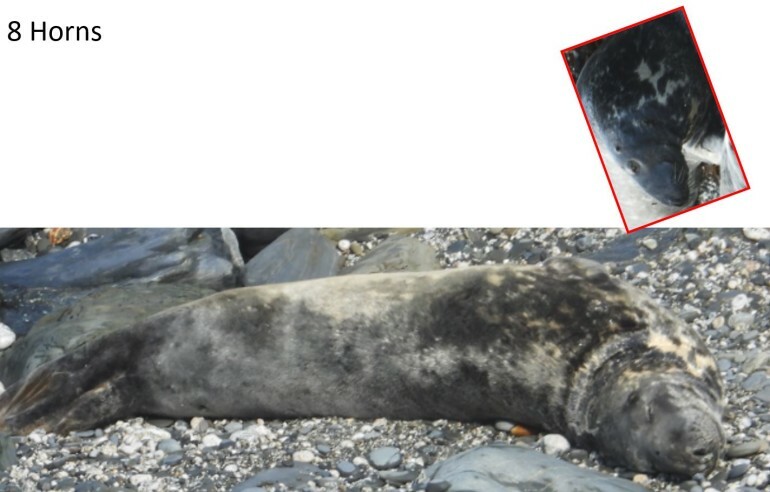 Sayer et al Pinnipeds, people and photo identification. 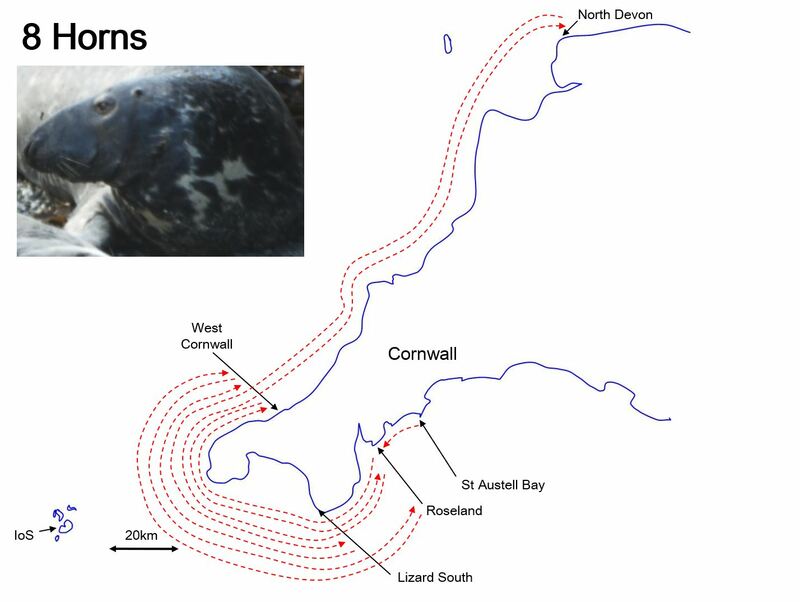 Together we are putting grey seals in the SW on the world map to improve our conservation efforts, to best help our globally rare grey seals and the sea upon which we all depend. 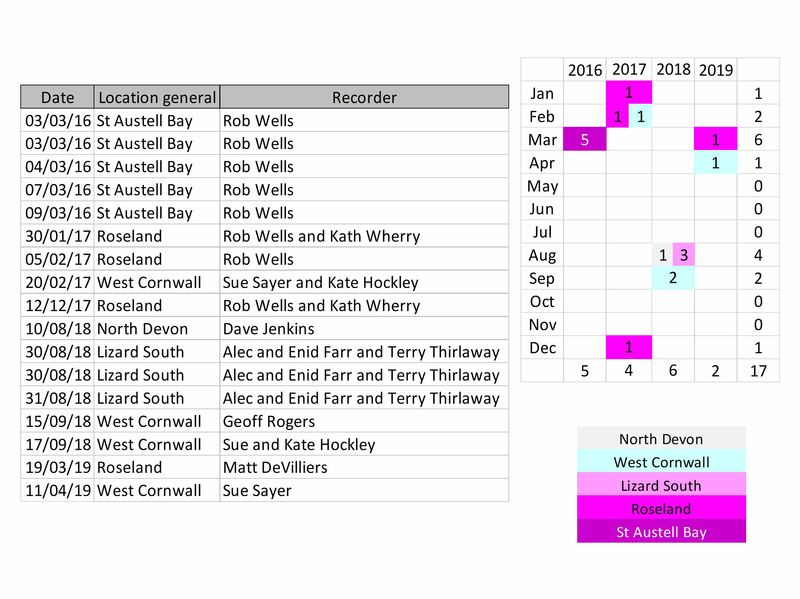 Please consider supporting our work by sponsoring a Ranger to mentor our community based photo ID hubs and events; analyse data to produce reports and journal publications to inform scientific evidence based conservation globally and taking seals to people through beautiful user friendly resources aimed at increasing everyone’s understanding about seals and their precious marine environment in the SW. Donate at JustGiving or via the donate button on our Facebook Page. THANK YOU!